The Futurist Theatre was a well known and loved theatre and cinema located on Foreshore Road on the sea front of Scarborough, North Yorkshire. After much disapproval and attempt to prevent the action the Futurist closed it’s doors to the public indefinitely on 6th January 2014 and has since been abandoned and left to Mother Nature. The theatre was closed after the operator’s lease had expired. The Futurist was first opened in 1921 after being built as a cinema which operated solely in this role until 1958 when the stage at the front was extended to accommodate live performances. Since the extension of the stage many famous and other well known people have performed at the Futurist including The Beatles – who performed there twice in the 1960s. Scarborough Borough Council took over the theatre in the 1980s and leased it to Apollo Leisure Ltd who operated it until September 2002. December 2002 is when the Futurist changed hands again and was run by the owner of the Hollywood Plaza Cinema who refurbished it by installing new projectors, DTS sound system and a new CinemaScope screen. 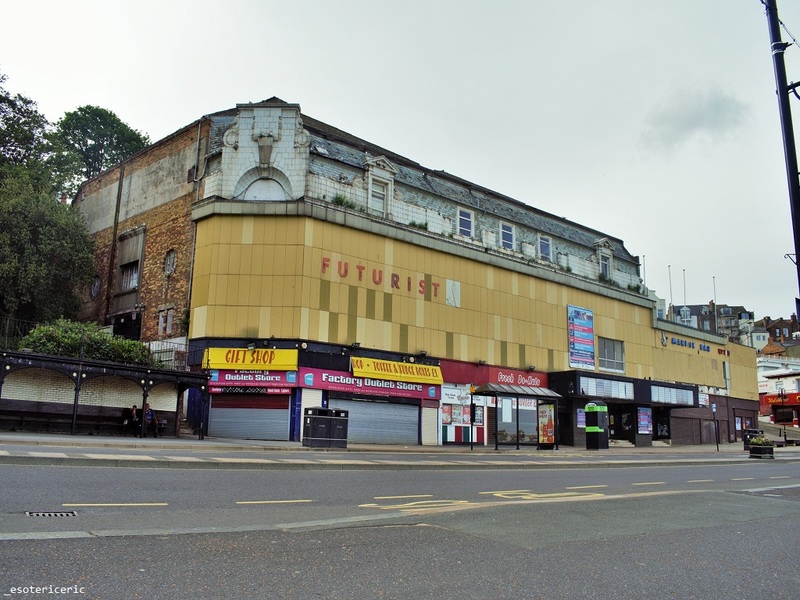 On 9th January 2017 council members voted to close down the Futurist and demolish the building. Note that: not all the councillors at the council voted for demolition however, a majority vote made the final decision. It’s said that the demolition will cost around £4,000,000 which has caused a lot of controversy with the locals. Currently the fate of the Futurist theatre is uncertain with speculation flying around however, interest has already been expressed by the Flamingoland group. The Futurist was a tough nut to crack, the building is locked down tight and a private security company patrol the grounds. As always we managed to find a peaceful means on entry and were able to film the video above. Unfortunately due to limited time were only able to capture a couple of phone photos (below).